The KidCheck Check-In Station provides a functional, simple, stylish solution to meet your full check-in station hardware needs. This complete package is designed by KidCheck experts to provide all the items you need for check-in, including a computer. It delivers a simple, full featured, complete check-in station all in one package, with options to meet your specific needs. The KidCheck Check-in Computer features a space-saving, yet fully featured ASUS mini PC, which can be mounted directly behind the monitor creating a virtual all-in-one. The ASUS mini PC features a fast quad core processor, 2GB (expandable up to 8GB) memory, 64GB (expandable to over 1TB) storage, Windows 10 Pro operating system, excellent WiFi connectivity with an external antenna, and multiple ports (including 4 USB ports) for connecting peripheral devices. This power packed mini PC comes in a sleek black design measuring only 8.6" x 6.7" x 1.1" (WxDxH) and weighing just 1.5 lbs. KidCheck's Check-in Computer provides a fully functional, ready-to-go computing system. The computer is pre-loaded with the necessary KidCheck check-in software and drivers, so check-in is ready to run right out of the box. It comes with a one year limited warranty. 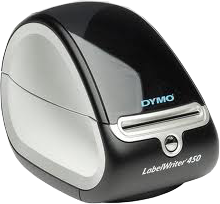 Also included in the KidCheck Check-in Station is a DYMO LabelWriter 450 and 4 pack of labels. 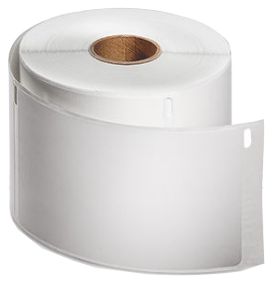 A great solution for faster, more flexible label printing. When licensed and paired with the Express Check-In feature, the KidCheck PrintHub 3 enables the printing of child and guardian labels for parents checking in from their personal smartphone or mobile device. When the family arrives at the facility and completes check-in on their mobile device, the KidCheck PrintHub 3 recognizes the check-in and automatically prints labels, eliminating the need for parents to wait in line and physically check children in at the facility. Or simply use it to print directly from a licensed check-in tablet direct to DYMO printer without needing a computer for faster, more reliable, more flexible mobile printing. 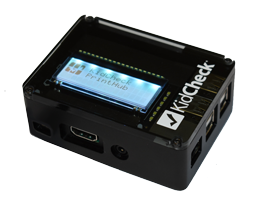 The KidCheck PrintHub is super easy to set up. It features a dedicated mobile setup app, a LCD display providing key diagnostic information and status updates, and a high performance USB wireless antennae. 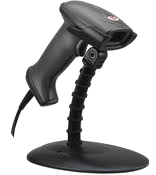 Fast, dependable 2D USB laser scanner able to scan barcodes and QR codes, including from digital screens. This adjustable height mobile cart features a stylish design and sturdy steel frame to neatly organize check-in. It holds all your check-in items, such as check-in computer, monitor, keyboard, printer and scanner. 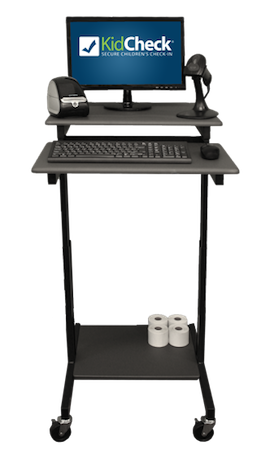 It’s easy to assemble, simple to use and has sturdy wheels on the bottom so you can quickly move check-in to where you need it and back out of the way when you are done. This cart features a sturdy black powder coated steel frame with a gray laminate top. It adjusts in height from 39 to 45 inches. The cart features 3 shelves: top shelf is 24”W x 18”D, middle shelf is 24”W x 14”D, bottom shelf is 18 3/4”W x 15 3/4”D. It has 3 inch casters, two with locking brake, for mobility and stability. The cart measures 24”W x 31”D x 39-45”H. It comes with manufacturer’s limited lifetime warranty.